I have to just laugh at myself for the impending colossal failure of this month’s game challenge. To be fair, I’ve been doing a crazy amount of reading and catching up on some movies I’d wanted to see, but as for this challenge, I have a sneaking suspicion I will be doing a second pass at it next month. After I wrote my game challenge update last Monday, I thought I’d be able to bring it home and seal the deal. But then I got (happily) distracted with co-op gaming sessions of Borderlands: The Pre-Sequel (the Claptrap DLC is a ton of fun, and the Holodome is actually pretty fun, too) as well as some other things that required tending. I have zero regrets about this. I had also intended to get to Her Story, and I’ve yet to touch that. I wanted to boot up Rocket League (soccer…with cars! ), and I’ve yet to do that either. One thing I was able to play (albeit in a limited fashion) was Fallout Shelter on my iPad mini. When it was initially released during E3, I downloaded it immediately. I would try to create a vault and as soon as I would do so, the app would crash. So I would try again. And it would crash again. I must have done this a dozen times before I finally Googled the issue and found that apparently, the 1st generation iPad mini wasn’t supported due to the 512RAM. So when I saw there was an update to the app to allow it to run on those devices with a lesser RAM, I updated it, and started in. When I could get the app to run, I was having a blast with it. I had three vaults going and all were doing fairly well. Only problem was, the app would crash all the time. Now this might sound like an exaggeration, but it’s not. It would literally crash all the time. If too many icons popped up, it would crash. If it took just a second too long to compute something, it would crash. If I accidentally clicked the link to the store, it would crash. If I looked at it funny, it would crash. And god help me if I started the app and it tried to notify me that someone had a baby. The app just would shut down on itself. It eventually got to the point where it wouldn’t even start up properly. I literally can’t play it at all anymore, and that’s disappointing. I had been having such a good time with it. The one upside? I’m somehow now even more excited to play Fallout 4 come November (even though Rise of the Tomb Raider releases the same day). Yay? I often have high hopes for how many games I can get to and in a reasonable amount of time, but I’ve found myself lacking in these endeavors lately. I need to refocus, get myself on track, and start experiencing these games! Oh! And not only are all these on my very current plate, but I found out last night by sheer accident (thank you, indirect Google Alert) that a game I’ve been waiting for has finally come out on PS4: The Vanishing of Ethan Carter. It released last September on PC (I wrote about the game last October), but I’d not heard a PS4 release date. What a super rad surprise! One more intriguing game on my plate. Yum. 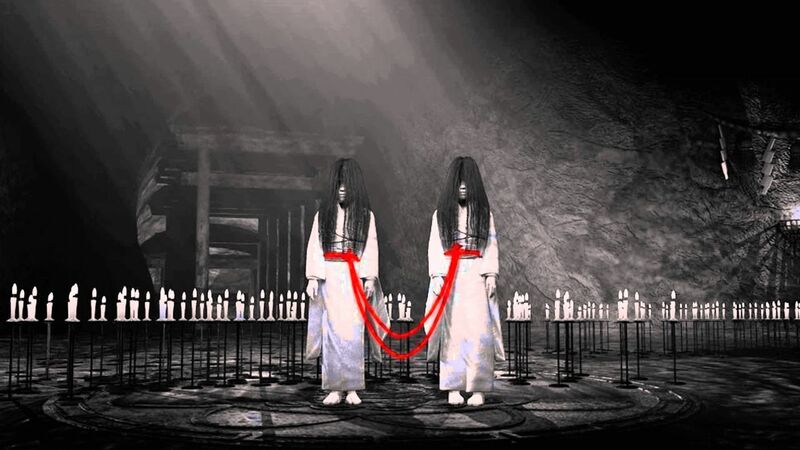 Oh, and I should probably admit that I played absolutely no Fatal Frame. I don’t have a great reason for this, other than a lot of random priorities got in my way. Still, not a good look for me. I need to get my head on straight and make some progress! So on that note, off I ashamedly scuttle to actually make some progress on this depressingly behind challenge. What is everyone else playing? How is that going? That’s not good about fallout shelter,I wanna play the vanishing of ethan carter as well. I’ve been playing mortal kombat x,witcher 3 and rocket league. It was disappointing, for sure. I can’t wait to get into Ethan Carter. I just hope I start knocking out some of these games I’ve been looking forward to! You are so on top of newly released games. I love it. We should try to play Rocket League sometime! I hope so and thank you. We definitely should. I still haven’t been able to try Fallout Shelter as I have all android devices. Still want to though, and I think it’s supposed to come out there sometime in August. The Vanishing of Ethan Carter looks really good, I may have to check that out. I love a game that just seems… different. And having an intriguing story doesn’t hurt either. I may have to look back at your earlier writing about the PC version, unless you plan to play and discuss the console version? Oh man, what I played I really liked. It just started crashing over and over on my iPad so I had to give up on it. In an odd way, it did drive up my interest in Fallout 4. This autumn/winter is going to be bonkers for games. I downloaded Ethan Carter on PS4, and will also be downloading Everybody’s Gone To The Rapture there as well. I love game experiences that aren’t of the norm. Ethan Carter got a solid review (from Ben Reeves on GI, I believe), and Rapture was reviewed by Tim Turi who gave it a 7. I’m super curious about both. I hope you are able to get Fallout Shelter to work on your device whenever it does release. It was such a bummer to have it be so broken for me.